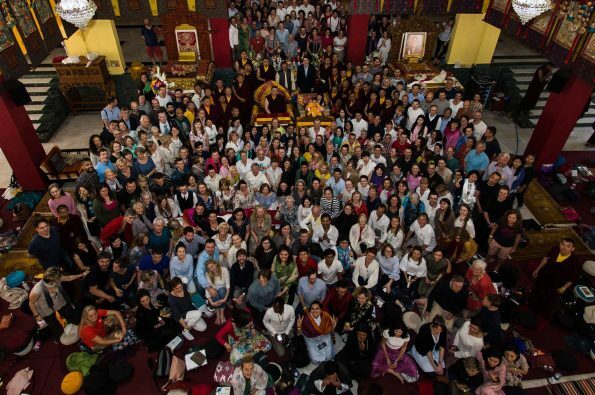 The 17th Gyalwa Karmapa Trinley Thaye Dorje has just finished a two-month retreat in Kündröl Ling in France. His visit being of a strictly private nature, no public events were scheduled during his stay there. There was, however, a very special reason for the Gyalwa Karmapa’s visit to Kündröl Ling: during his two-month stay he received the entire transmission of the dam ngag dzö from Pewar Rinpoche, one of Tibet’s most revered lamas today. 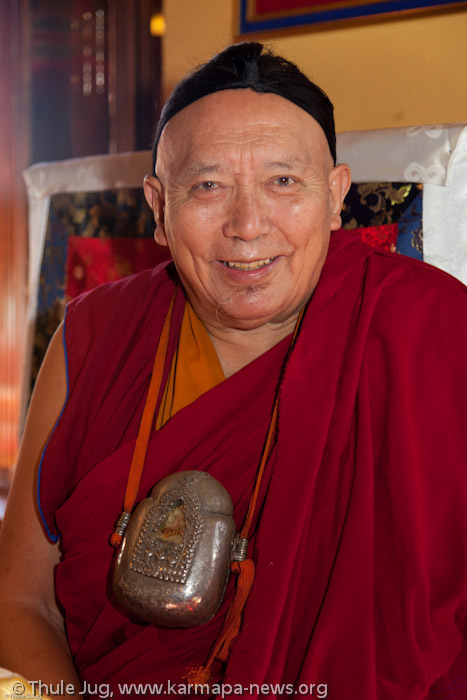 Pewar Rinpoche is considered a great master of both the Sakya and Nyingma traditions of Tibetan Buddhism, and is the abbot of Pewar Monastery in Tibet. He was a student of Jamyang Khyentse Chökyi Lodrö, from whom he received many teachings and transmissions. Thus, he is one of the oldest living disciples of Jamyang Khyentse Chökyi Lodrö. The collection of instructions which Pewar Rinpoche transmitted to the Gyalwa Karmapa was compiled by the great Jamgön Kongtrül Lodrö Thaye (1813-1899). It is called the dam ngag dzö (Treasury of Instructions) and is a collection of precious methods and instructions of all of the eight great Buddhist traditions of Tibet, brought together and structured into a coherent system by Jamgön Kongtrül. These instructions (dam ngag) reveal the essence of the rime or non-sectarian movement, and are the most famous of Jamgön Kongtrül’s brilliant compilations. Another point worth mentioning is the very direct transmission lineage which Pewar Rinpoche holds for this collection of teachings: Jamgön Kongtrül Lodrö Thaye gave the dam ngag dzö to his disciple Gyurme Pema Namgyal. The latter passed it on to Jamyang Khyentse Chökyi Lodrö, who in turn gave it to Pewar Rinpoche. This means that there are only two masters between him and the one who is at the origin of this compilation, Jamgön Kongtrül Lodrö Thaye himself. It is said that the blessing carried by such a direct transmission is particularly strong. 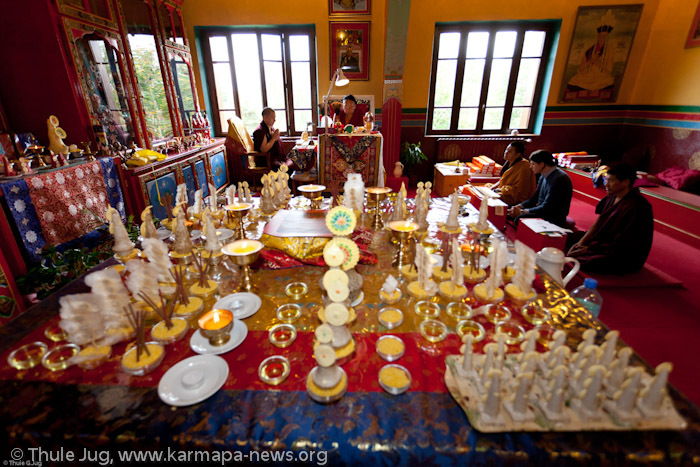 The monastic hermitage of Kündröl Ling in France provided an ideal environment for the two-month transmission, and everybody rejoiced that all the conditions necessary for this auspicious event to happen had come together.